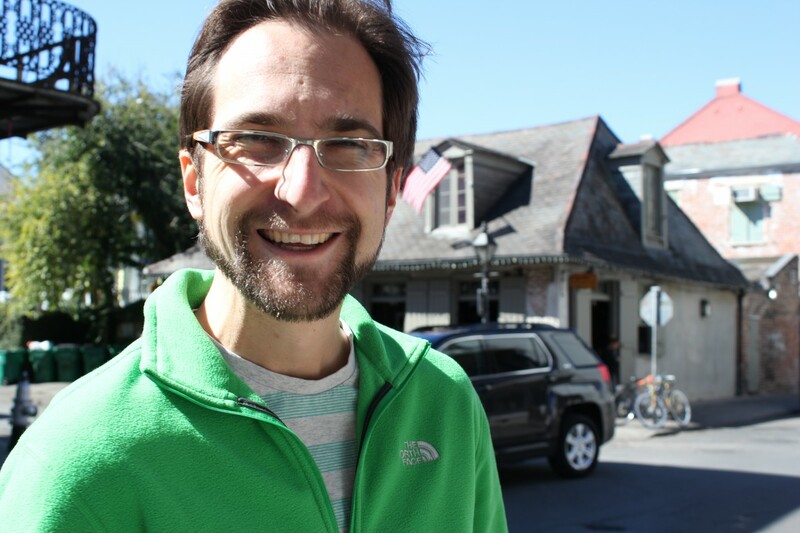 Several months back a friend suggested a group of us should make the most of a Delta sale and so we all bought some cheap tickets to New Orleans for state election long weekend. We had no real plans for what we would do there but all of us had always wanted to go. 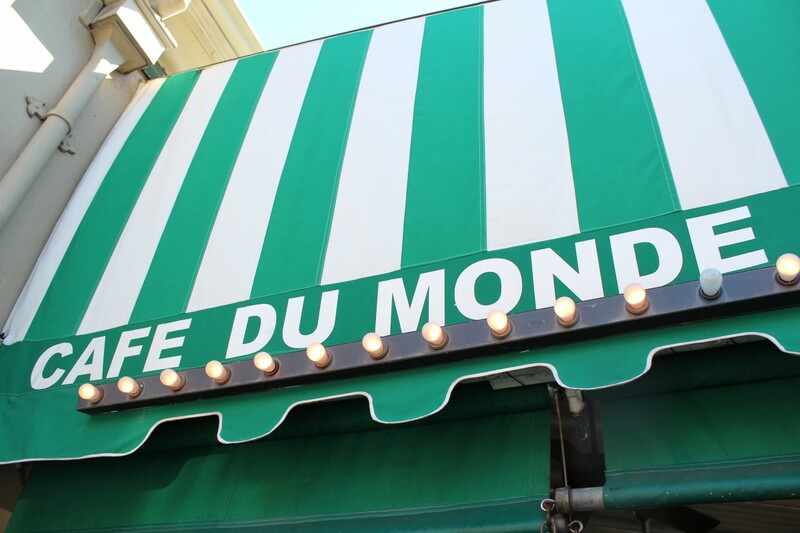 When we arrived on Saturday we dropped off our bags at the hotel & wandered through the French quarter to join the queue at Cafe Du Monde for coffee & beignets. We’d all been on the go since 5am & were in search of a decent coffee. I’d tried & failed to drink the rubbish in the Delta lounge & on the plane, and my friend, swore that their friend had raved about the coffee here so we gave it a go. Thankfully, the queue moved quite quickly and before we knew it we were siting inside. I ordered a cafe au lait along with a plate of beignets. 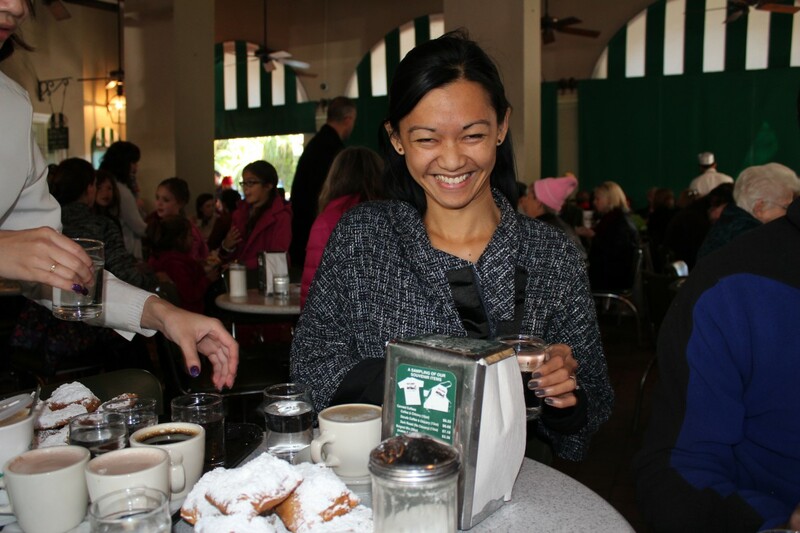 The beignets were piping hot & really hit the spot. As was the cafe au lait. The six of us sat & schemed for the weekend ahead, talked about all the food we wanted to try, places we wanted to see & took in the atmosphere on Decatur Street. A perfect start for a long weekend. 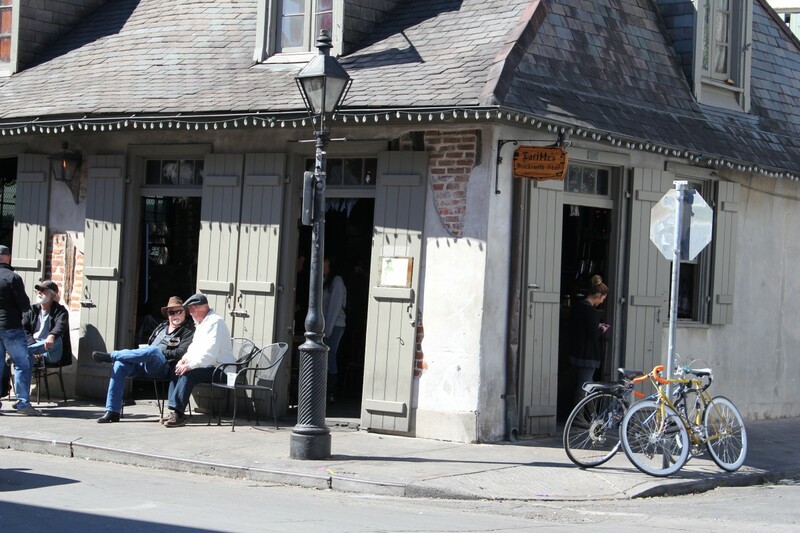 Whilst wandering through the French Quarter on Saturday afternoon we stopped for a cocktail to go at what appeared to be an old shack. There were a couple of old guys sitting out the front watching the world go by next to a small group college students drinking heavily in what appeared to be pyjamas. We went inside and ordered a round of Hurricanes. 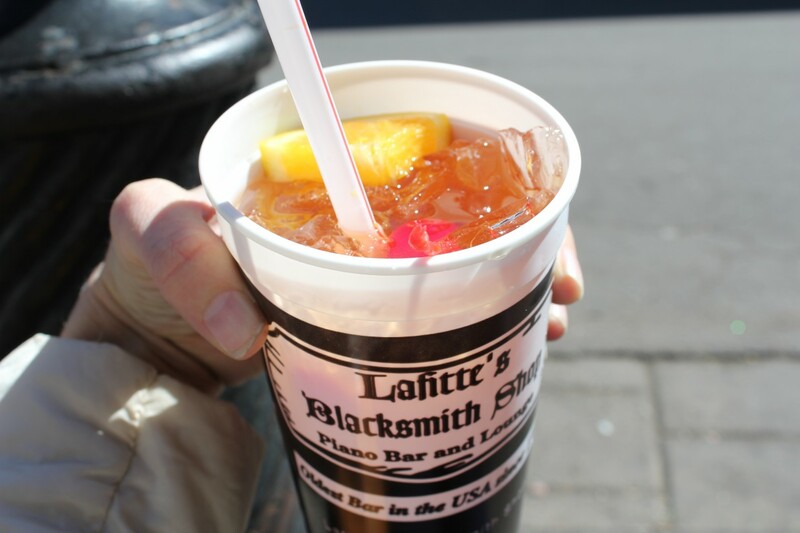 Another friend of a friend had said that these were the best in New Orleans. I’m not sure of their measure of best, but they were certainly up there with the booziest. We stood outside in the sun on the street corner drinking our boozy Hurricanes, joking around and enjoying doing nothing much in particular. 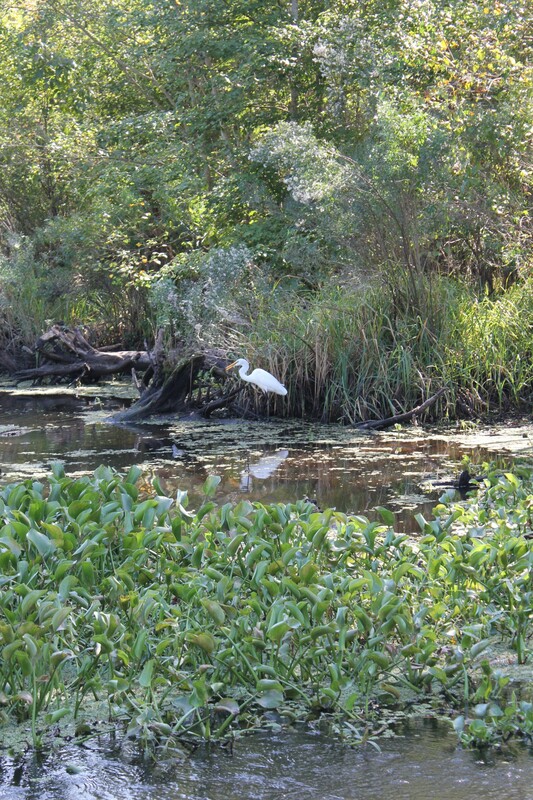 On the Monday we jumped on a bus & headed out to Cajun country for a swamp tour. It was as touristy as you can imagine and still enormous fun. We cruised around the swamp in a pontoon boat & listened to our cajun guide talk. I couldn’t quite work out if the guide was for real or not, but I didn’t care. 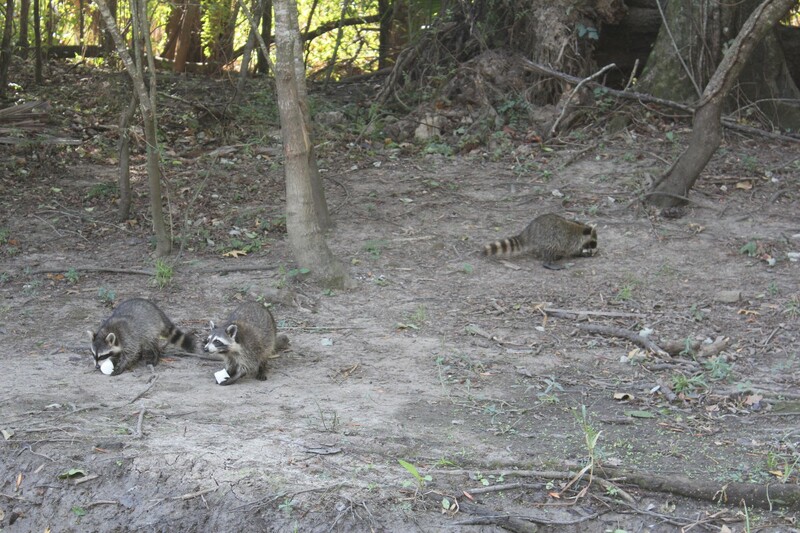 My mind drifted & I watched the guide feed marshmallows to the alligators & racoons. 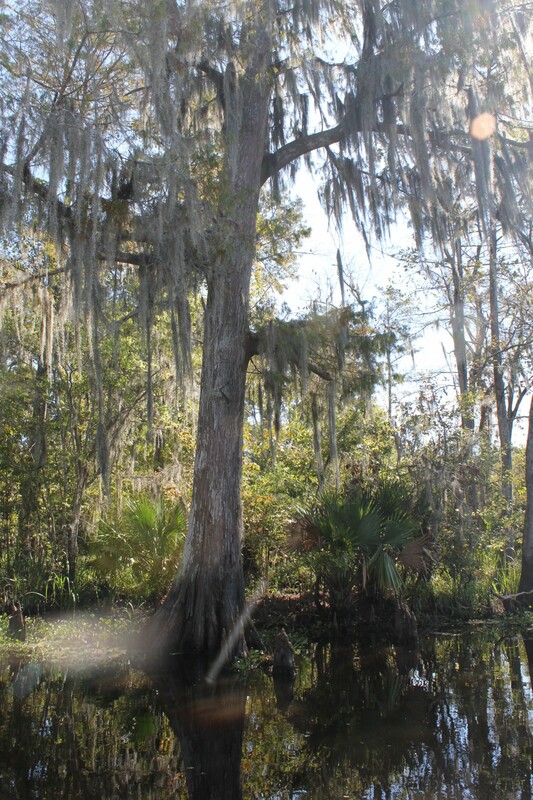 I fiddled with the settings on my camera in between watching herons & admiring the sun shining through the Spanish moss. 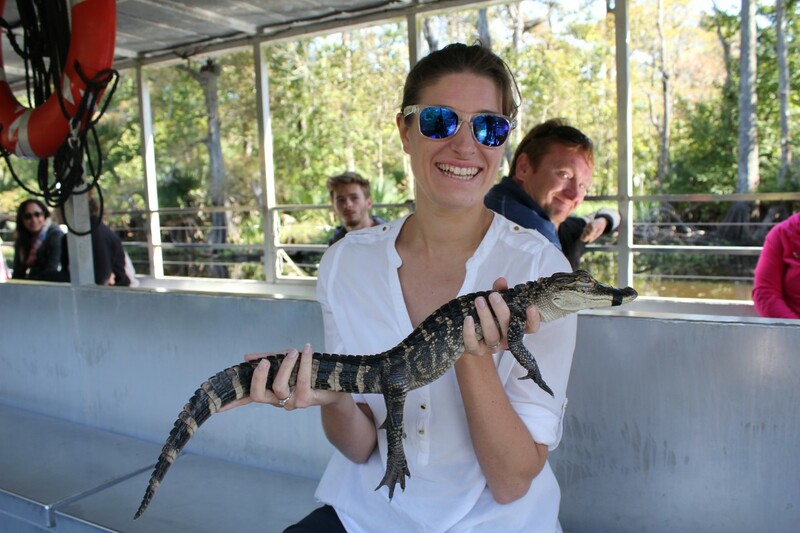 Part way through the tour, the guide pulled a small alligator out of the esky & passed it around to everyone. I was amazed at how soft the alligator’s skin was, it was delicate & felt almost fragile. Sure the fried chicken inside is incredible. It’s perfectly juicy & crispy, with a little bit of spice. You feel like every bite you take brings you one step closer to a coronary bypass. 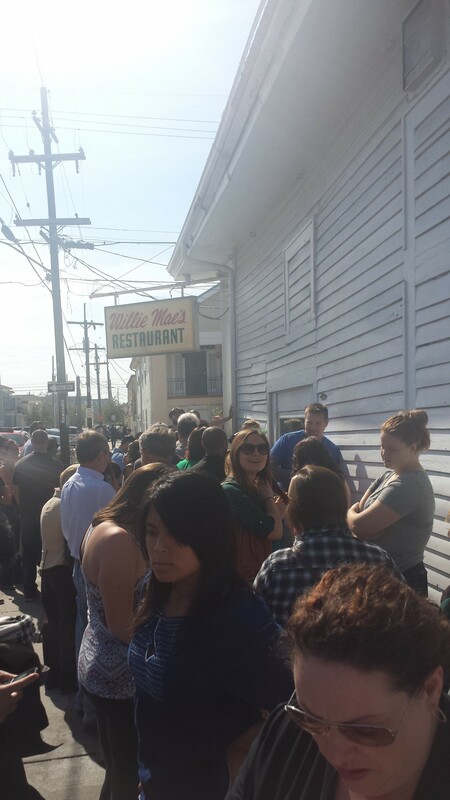 It was everything fried chicken should be & more, but it was the wait outside that I remember. Standing in the sun. Meeting locals & other travelers in the line. Sending a runner down to the corner store for beer so that we could be drinking beer whilst standing in the sun. If only every Monday afternoon could be this enjoyable. Monday night, Greg & I were wrecked, we’d had a late lunch which while delicious at the time had sat on our stomachs a little too long. It probably wasn’t helped by an afternoon nap immediately after. By the time we got dressed & ready to head out for our evening drinks it was almost 7. We met up with a couple of friends at Carousel Bar & discussed what we would do for dinner & entertainment that night over cocktails & spiced nuts. Before we knew it, it was 9pm and our friends were no longer hungry & were ready for bed. They went back to the hotel & Greg & I were going to do the same, but as we were walking through the entrance of the hotel we spied people in the adjoining restaurant eating some pretty tasty looking seafood platters. We found a table, ordered a bottle of pinot grigio, a seafood platter & a green salad. A perfect supper to end a wonderful long weekend of eating, drinking & wandering. Without a doubt, the best pulled pork I’d ever had. I would come back to New Orleans just for this restaurant. Fresh sandwiches & brunches in a funky cafe next to a couple of old school junk shops. Perfect Sunday lunch spot. Every morning at 7am we’d cross Canal Street, braving the smells of the night before to get our morning coffee fix at Merchant. Not once did it disappoint.